I always do a double-take when I see a senior citizen snow shoveling their driveway. 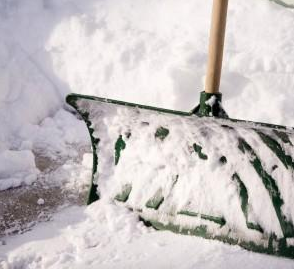 Yes, they may enjoy it, or they find it a good exercise...which it is, but.....Snow shoveling, for senior citizens or people in bad shape, can lead to heart attacks! Read this article for more info. Remember, Reilly Painting & Contracting is doing roof ice dam prevention, ice dam prevention and roof ice removal this week and next, and if you need us to do a quick snow shovel, let us know. We want you staying safe! Contact us here. Tags: ice dam prevention, roof dam removal, roof ice dam prevention, roof ice removal, snow shovel heart attacks, snow shoveling health. ← Will Snow Tires Help You In This Weather?